A broken S key on my MacBook Air became an outrageous $475 repair cost. I should have paid for Apple Care. I have a Macbook Air, purchased from the Apple Refurb store about two years ago. It now has a dead key. It’s the S key. After cleaning it with compressed air, it worked badly for a while and is now dead. A query to the local Apple repair shop indicates it’s fixable for about $380. One look at the iFixit repair PDF, and it’s easy to see that it’s very labor intensive. For. One. Key. I obtained an appointment at the area Apple Store Genius Bar. After about 40 minutes, it was determined that Apple could repair my MacBook Air. The price would be $475, but that would include other refurbishments as determined at the time, perhaps including a new battery or whatever else was found “wrong” with the machine. It’s a freaking S key. It’s also a massive usurious failure of Apple’s design engineering, or conversely, the success of design engineering when measured against the income dreams of an MBA. 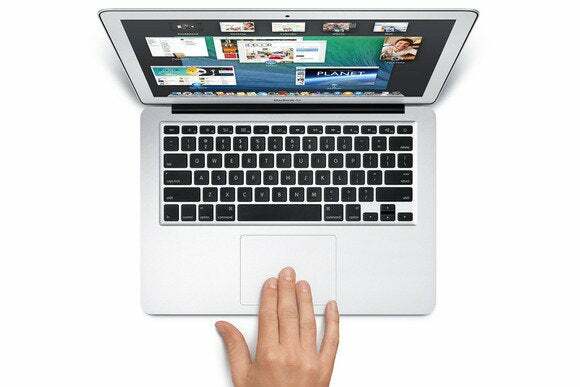 The MacBook Air’s claim to fame is much power packed into a tiny, lightweight space. That’s why I bought it. I travel extensively, and I tote the machine like many tote their smartphones. The machine houses many virtual machines, as well as many volumes of my works as a researcher, journalist and writer. It has music, photos and videos. I bought it because there are 8GB of memory and a 512GB SSD drive. I like light, sturdy and quiet. That is, until the $475 S key. No, it’s not under Apple Care or warranty. My mistake. In the interim, I purchased a SiiS portable keyboard, which must be gingerly placed atop the current keyboard to make the system work. It’s a kludge, and it robs the MacBook Air of its utility. Certainly no keyboard must last forever. They’re mechanical devices, indeed the only mechanical device in the laptop I bought. I purposely made it non-mechanical by ordering a solid state disk drive. Paying $475 to replace a single key, however, is a warning to you all: Pay the usury of Apple Care or fall victim to outrageous repair costs.